It is always better to use an endless staff instead of looking for several stacks of items. 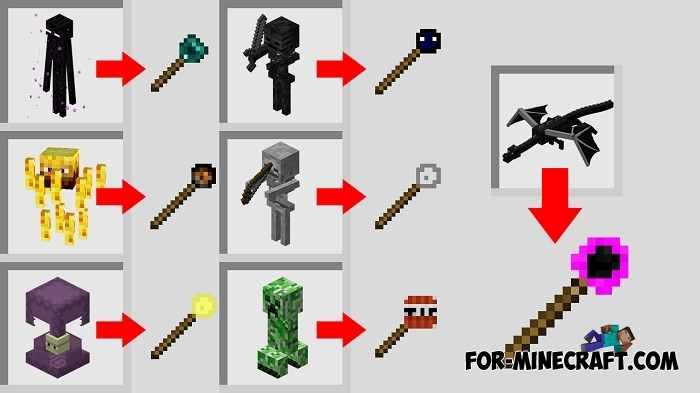 The Mobs Staff mod is 7 non-vanilla staffs for Minecraft PE (Bedrock) that are similar to some items but superior to any weapon. You will become almost invincible if you get the coolest staff of all, your enemy will be defeated in a few seconds. 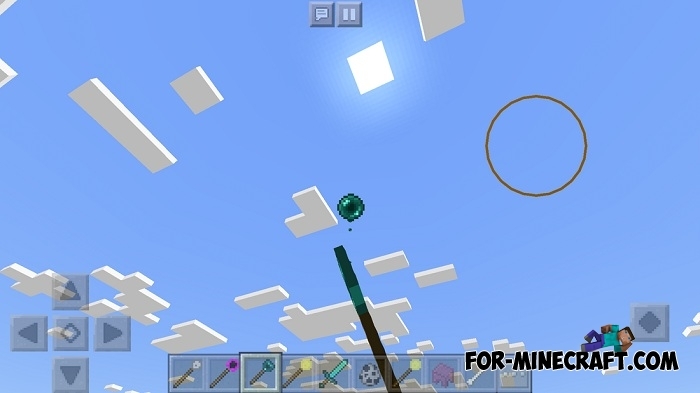 Ender Staff - imagine how easy teleporting when you have an infinite supply of ender pearls in your hand. This staff allows you to teleport to the point where the pearl fell. Fireball Staff - if the bow has ceased to be a formidable weapon, then take this staff and shoot where and how much you want. Shulker Staff - send any mob to the sky, because it imposes the effect of levitation for a short time after which the creature will fall down. Skeleton Staff - this bow only without recharging, you can call this staff a machine gun. TNT Staff - is a great opportunity to arrange mega explosions. 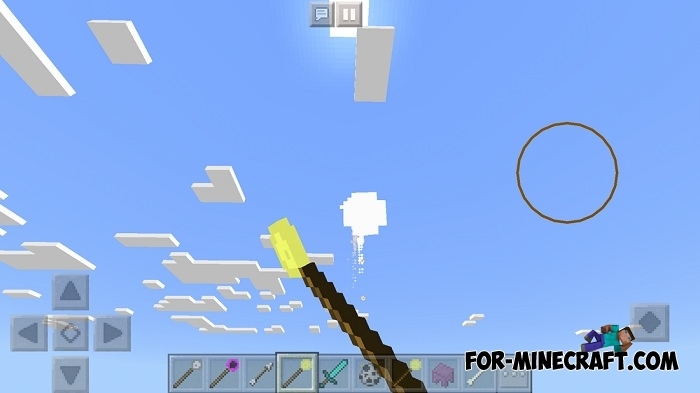 Wither Staff - shoots shells and destroys any large or small creature. How to get the staffs? The creator simplified the task and did not begin to add crafting recipes for each staff. Now the mob (which is in the name of each staff, except TNT, it's a creeper) drops its staff so go hunting and get all these magic items. 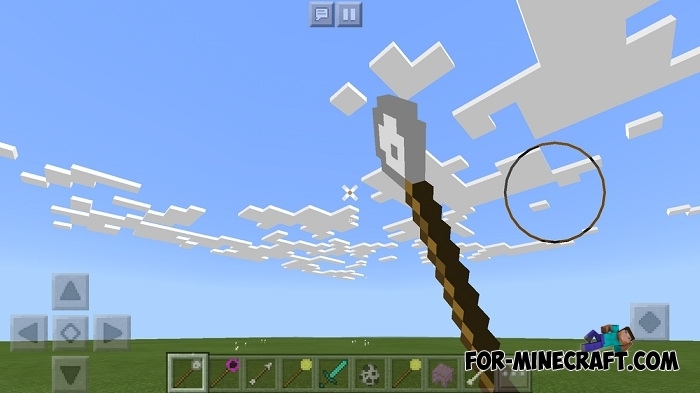 Anyway, the Mobs Staff mod will make you forget about swords and bows, they do not need you any more and your staffs will be great friends in any situation. How to install the Mobs Staff mod?